The containers were declared to be carrying bamboo furniture. 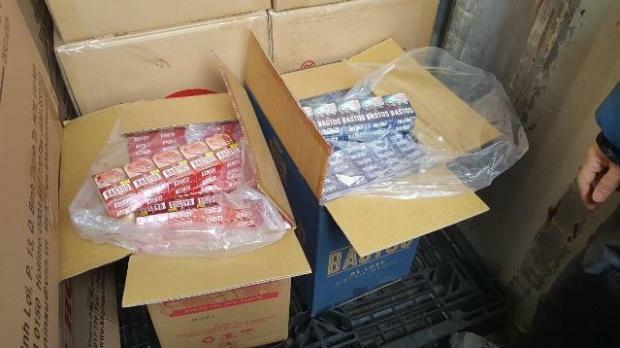 Two containers full of contraband cigarettes were intercepted by Customs at the Freeport, the department said. The containers, which were on their way to Croatia from Vietnam, were ostensibly carrying bamboo furniture, but searches and scans revealed otherwise. They were intercepted following coordinated work between several customs sections including the Container Monitoring Unit, the Intellectual Property Rights Unit and the Scanning Team. The department’s scanner was also used. Each container was carrying 7,680,000 cigarettes. In 2018, the department seized 56,612,956 contraband cigarettes and 16,209,2 kilograms of narcotics.